Captain Alex Oben has over of a quarter of a century of fishing experience. He has been fishing in the area his whole life and that vast experience gives him the best possible knowledge about all the necessary fishing tricks and hack. Captain Alex specializes in trolling and loves having groups of friends who like to have fun on board. Depending on the time of year and what species we are going for, we choose what kind of tackle we want to use. 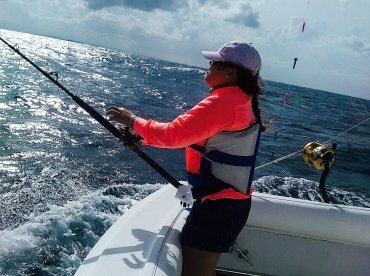 We generally pull a mix of natural and artificial bait behind the boat doing around 7-8 knots, waiting for that fish to show up. From January to April we target Mahis, Tunas, Wahoos, Sailfish and White Marlin using light tackle (20-50 pound test line). From May to August we switch up to heavy tackle (80-130 pound test line) and chase Blue Marlin averaging 250 pounds. And from September to December we go back to light tackle and chase a mixed bag of Blue Marlin, White Marlin and Sailfish. Hi I want to first say I had the most fun on this trip with skipper Junior and first mate Antonio They were a very entertaining crew regarding their passion for fishing and they tried really tried hard to get a cash unfortunately it was January and this is the worst month for offshore fishing . 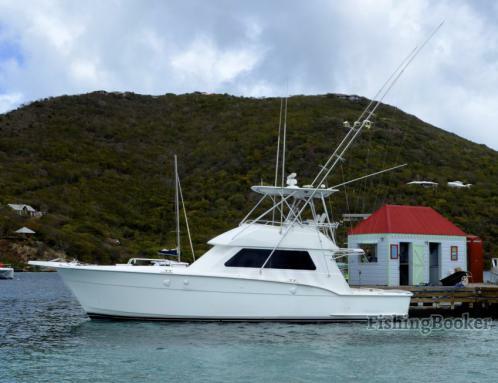 But my fiancé and I had a very romantic trip overlooking ElMoreo San Juan and the bay Nexft time I will come back o their busy season and catch a marlin ? We chartered for half day with Captain Alex. Everything was very professional and comfortable. Captain and crew know the waters and fishing very well. Would highly recommend. Had a great last minute fishing trip. Great boat and crew. Got on some tuna, including a 50lb. Highly recommend. We Caught A Blue Marlin!!! We had a beautiful sunny day for fishing!! The Captain was very friendly and helpful. The boat was very clean and had a spacious cabin where you could get out of the sun, if you needed to. The only thing I would recommend is for the First Mate to explain the process of catching fish, in case you DID happen to catch one!! I think the fishing had been very slow due to Tropical Storm Erika, so maybe he thought we wouldn’t catch anything. 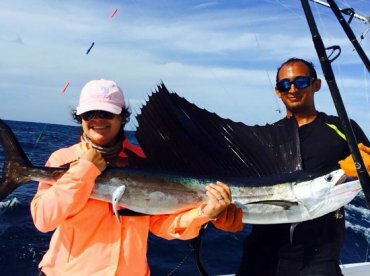 But when my sis in law snagged a Marlin, she had NO idea what to do or how to reel the Marlin in!! Luckily, we all pitched in to help her get the fish to the boat, took pictures and then let the 100-120 pound fish go!! We thoroughly enjoyed out trip ! !